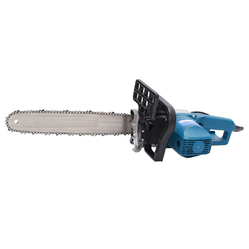 We manufacture and distribute a wide variety of chain saws ranging from 46cc to 92cc and brands ranging from Josch, Stihl, Bosch, Yking, etc. Features: This is a popular cutting machine in the wood industry. It comes with a heavy duty motor housed in high grade engineering plastic body with the gear assembly housed in solid aluminium alloy casting. The machine has solid chain guide baron, which the chain is mounted. It has a protection guard. The machine is sturdy and compact design for ease in operation. Application: This machine is widely used for cutting wooden logs in wood working industries. A powerful motor and sturdy guide bar helps in smooth cutting operations. 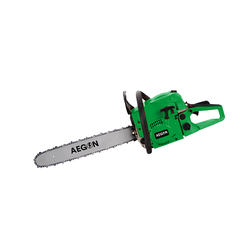 Owing to rich industrial experience, we offer Chain Saw (Petrol Driven) to our clients. 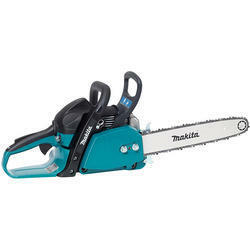 These highly reliable saws are used for cutting of wooden lag. Offered tool is petrol driven tool comes with a heavy duty two stroke engines. Our quality experts make sure that the product is manufactured and designed using fine quality material so as to meet the requirements of our reputed clients. We offer the product in leading marketing prices. 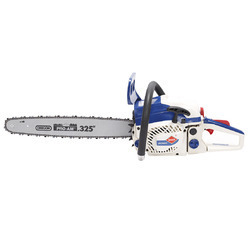 Looking for Chain Saws ?